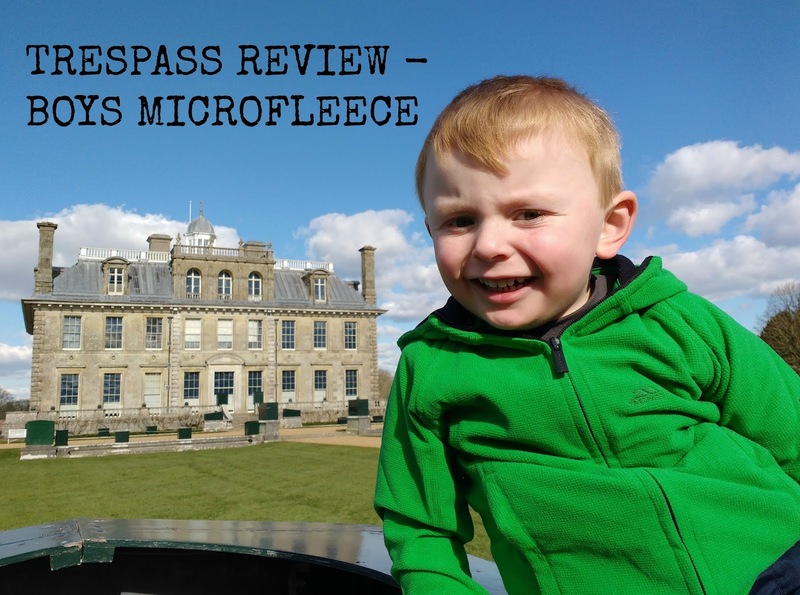 Recently we were contacted by Trespass and were asked if we'd like to review something from their website. They have a brilliant range of outdoor clothing for the whole family but I decided to pick something for Elliot to test out seeing as he'd probably get the most wear out of it. The Trespass website has so many nice things for little boys but I finally decided upon a boys fleece hoodie in green. I thought it would be really handy to have something he could wear under a coat as a second layer. When the hoodie arrived I was pleasantly surprised. On the website, the hoodie looked to be a lightish green colour but in reality it was a bright vibrant green and much nicer than the picture advertised. The material was soft and light and felt really good quality. Elliot immediately wanted to wear the hoodie and it was a great fit. I ordered age 3-4, not really knowing what the sizing was like but it was pretty much spot on. Although the material is light, it features the Airtrap system to I know that it will do a great job of keeping Elliot warm. 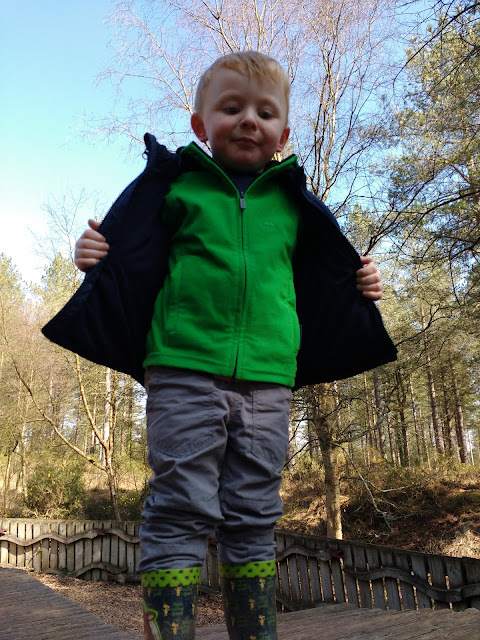 We have tested the hoodie out lots since it arrived and it has been Elliot's jacket of choice recently. 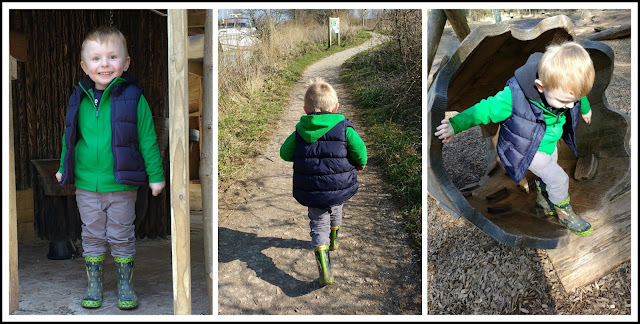 The weather has been getting milder so he has been wearing it over is clothes as an outer jacket but on chillier days, he wore his navy gilet over the top to keep him toasty. I think the hoodie looks great paired with the gilet and the colours really suit Elliot! The hoodie has been washed several times and hasn't lost any of the quality, no bobbles or loss of colour. It also dries really fast which is really handy. I'm really pleased with the hoodie and I would definitely recommend taking a look at the Trespass website for outdoor clothing. My only gripe is that the ladies sizes stop at an 18 (XXL) but hopefully this is something they might expand in the future. Looks lovely and cosy. Will definitely be checking out Trespass when it comes to new outdoor jackets for my girls - thanks!